How to price your cakes…. Pricing cakes is one of the biggest challenges many bakers face. It can be tricky to personally put a value on your skills, your cakes and your time – and that’s not even considering working out your overheads for each bake! Even if you are a dab hand at scaling up recipes from a 6-inch tin to a 10-inch tin, the sums involved in profitable pricing do not always come so easily – and it’s really important to remember that you’re not alone in feeling like that. 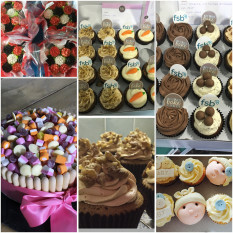 That’s why here at Mums Bake Cakes we made it a priority to bring you a pricing guide so that your cakes can be simply, appropriately and profitably priced – because that’s what you need to earn a good cake income and that’s what your cake business needs to flourish. Let’s get started! Knowing what each cake costs you is a great place to start when it comes to pricing your cakes. Note that we are starting, not finishing here, because your time, skills and dedication have a value too! Your overheads include everything from the ingredients and equipment needed for the cake, packaging and delivery costs, fuel costs for the supermarket trip to buy the ingredients and supplies and utility bills for the time taken and equipment used when completing the order. Don’t forget to factor in your annual costs like public liability insurance too, this will likely only add a small amount to each order, but ideally you want your business costs to be covered in the price of your cakes so you’re not footing the bill personally. You can work out your overheads on a cake by cake basis if you feel more comfortable doing so, but it will take more time out of your day that you could have spent baking. So, if you find you take lots of similar orders with similarly priced flavours and levels of detail or decoration, it can be helpful to work out a ball park figure which can then be tailored to individual order specifics far more quickly than starting from the scratch. The trick is to only do this with comparable cakes, or you might end up under or over pricing them. This step is what so many cake bakers miss out, particularly if they are new to the game. It can feel strange to put a financial value on your time and your skills, but you really need to in order to stay profitable. You’ve worked, trained and practiced hard to become the baker you are and your cakes should be valued accordingly. The bare minimum of this step is to make sure you are including an hourly rate for your time in the cake order. Sometimes things can go slightly off plan, and you’ll end up working a few extra hours to rectify it, but the majority of the time you can work out how long a cake order will take, especially once you’ve got a few similar orders under your belt. 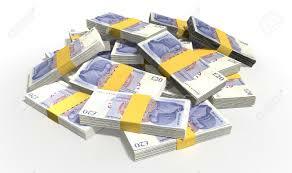 Make sure you are paying yourself an hourly rate for the hours of work done. Base your hourly rate on your skill level, experience and expertise. The better finished your cakes and more nuanced your skills, the higher an hourly rate you can charge. Keep your rate in line with your abilities and include it in the final value you price your cake at. Somewhere along the line, most professional bakers and cake decorators run into a customer (or several) who want to buy a custom, homemade, high quality cakes for supermarket cake prices. This can be frustrating, but don’t give in to pressure and under value your cakes. You are not a supermarket batch baker, you’re creating carefully homemade orders one at a time, hand-making details and hand-decorating the finished product. That is much more valuable than an off-the-shelf supermarket cake and you should price it accordingly. People expecting homemade cakes for supermarket prices may well go elsewhere (probably to their nearest shop!) and, while it can feel negative to turn a customer away, you should never under value your time and your cakes when a customer won’t pay you a fair price for them. Why should you do the work when you won’t be sufficiently rewarded? STEP FOUR: SPEED IT UP! Now you’ve worked out fair and profitable prices for your cakes, you’re ready to speed the process up with the price per serving method! This method works best if you’re offering one cake or very similar cakes over and over again – if you have set designs, flavours, tray bakes, cupcakes etc. 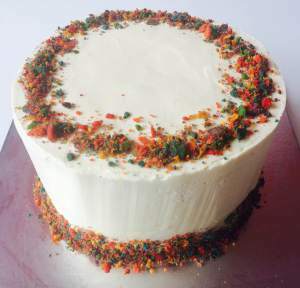 If you’re making a lot of one-off custom cakes, you can still use this method, but you’ll need comparable cakes and to do a little bit of tweaking to get the right price for each unique order. Once you’ve worked out what your cake costs you, you can divide it by the number of slices or portions the cake contains to work out your price per serving. This is really handy to then scale up or down orders because you can just multiply the price for one serving by the number of servings you’ve been asked to make. Just make sure you take into account any extras that aren’t included in your serving price that a larger order might incur. So now you have four steps to price your cakes quickly, appropriately and profitably. 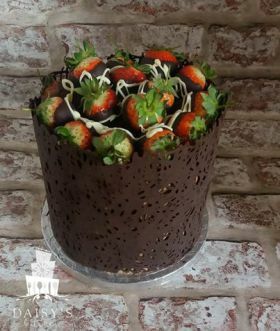 As a baker, you deserve to be paid for your time and you deserve to be paid for your skills and experience, as you would in any other profession, so make sure you include not just the costs for creating the cake but the costs for your time and expertise in each and every order, and you’ll be well on the way to professional cake baking success! Have you been undervaluing your cakes? How do you price your cakes?